Posted on 1st November 2018 at 1:31 pm. 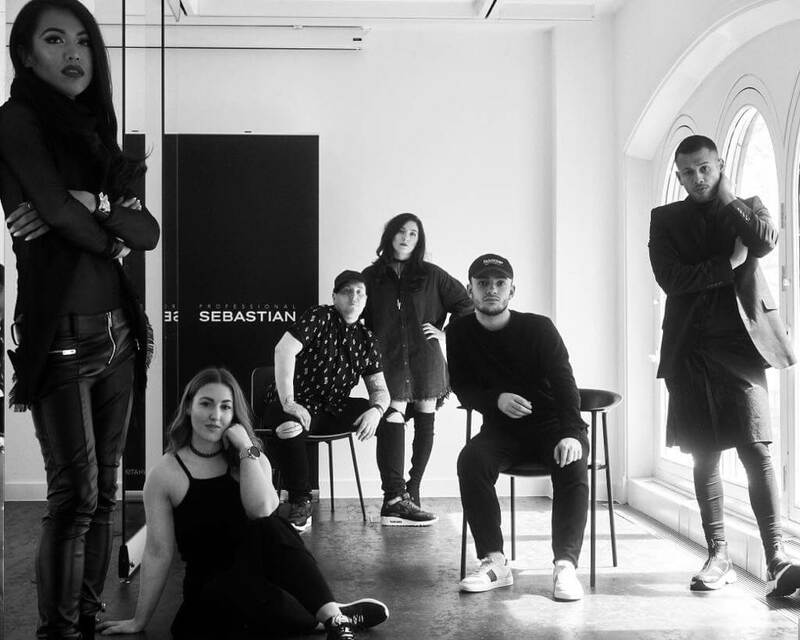 A group of six inspiring and creative hairdressers have been chosen to form the new Sebastian Professional Cult Team for 2018. This dynamic team had to go through an audition process which began with an online entry. Guest judges included International & UK Sebastian Art Team member, Angelo Vallillo as well as Dom Capel and Sebastian management team members. Each finalist had two hours to create a truly show-stopping look, demonstrating their styling expertise and hairdressing mastery. In addition, they were judged on their presentation skills and potential platform ability. Now the search for the 2018 Cult team is over, this group of budding stars will experience an incredible 18-month mentoring programme. This will enable each member to experience different types of hairdressing education to further their careers. They can expect around 15 days of mentoring from industry leaders, covering topics such as photographic skills, wig making, media training, creative hairdressing skills, platform hairdressing insights, product knowledge, presentation guidance and session hairdressing. The programme will include opportunities to represent Sebastian live on stage and spend valuable time with some of Sebastian’s leading artists & industry mentors, including International & UK Art Team member, Angelo Vallillo; UK Sebastian Artist, Joseph Ferraro and UK Sebastian Brand Ambassador, Dom Capel. With an exciting and action-packed schedule lined up for 2018/9, it is most definitely a case of ‘watch this space’ for the future hairdressing stars of tomorrow embarking on their Cult Team journey.